Cognac, named after the town of Cognac in France, is a variety of brandy. It is produced in the wine-growing region surrounding the town from which it takes its name, in the French Departements of Charente and Charente-Maritime. For a distilled brandy to bear the name Cognac, an Appellation d'origine contrôlée, its production methods must meet certain legal requirements. In particular, it must be made from specified grapes, of which Ugni blanc, known locally as Saint-Emilion, is the one most widely used. The brandy must be twice distilled in copper pot stills and aged at least two years in French oak barrels from Limousin or Tronçais. Cognac matures in the same way as whiskies and wine when aged in barrels, and most cognacs are aged considerably longer than the minimum legal requirement. 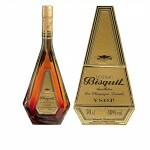 Bisquit VSOP is a 8 to 10 years old cognac. 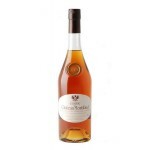 This cognac is a marriage of grapes from the Petite a.. 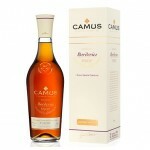 The Camus Borderies VSOP is a limited cognac release of around 10.000 bottles. It was bottled at .. 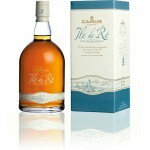 The Camus Ile de Ré Cliffside Cellar is the successor of the discontinued XO by this distiller. A.. 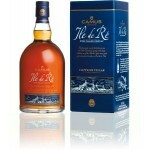 The Camus Ile de Ré Double Matured VSOP is a subtle cognac first matured in traditional cask.. 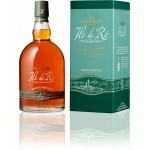 The Camus Ile de Ré Fine Island is a V.S. 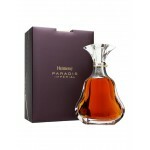 cognac and at the same time the youngest cognac from th.. 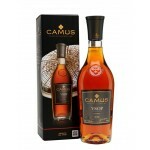 The Camus VS Elegance is the youngest Camus cognac. Bottled at 40% ABV. Nose: floral and frui.. 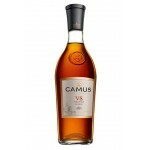 The Camus VSOP Elegance is a cognac made from all 6 the Crus. It was bottled at 40% ABV. Nose.. 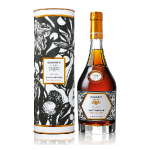 The Chateau de Montifaud Cognac Prestige Diva is a 4 to 6 years old cognac from the Grande Champa.. The Chateau de Montifaud V.S.O.P. is an older cognac of about 9 to 11 years old. 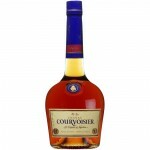 First it has mat..
Courvoisier V.S. is a 4 to 7 years old V.S. cognac. 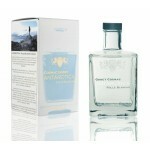 After distillation it is kept at 70% for 3 mo..
Godet Cognac Antarctica is a unique cognac with a long history. 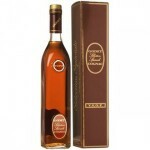 In March 2008 Jean-Jacques Godet,..
Godet Cognac Gastronome Fine Champagne is a VSOP cognac from the Fine Champagne region. Invented .. The Godet Cognac No. 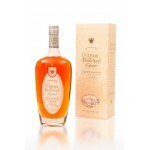 1 Gentleman Cocktail is a cognac from the Fins Bois and Bons Bois region esp.. 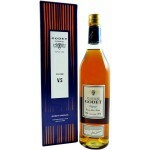 The Godet VS Cuvee Jean Godet is a 3 years old Very Special cognac made from grapes from the Fins.. The Godet VSOP Selection Speciale is very rich cognac. A rounded palate with clean oak and honey .. The Godet XO Fine Champagne is a 25 to 35 years old cognac made from grapes from the Grande Champ.. The Godet XO Terre is a unique blend of 5 different appellations from the cognac region. A mix of.. 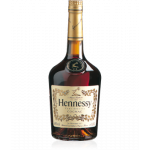 The H by Hine VSOP Cognac Fine Champagne is a blend of around 15 Petite Champagne eaux-de-vie wit.. 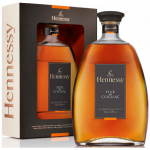 The Hennessy Fine de Cognac is a VSOP cognac. A blend of over 60 eaux-de-vies from the four best .. Inspired by the legend of an 1818 order of a unique blend of rare cognacs for Tsar Alexander I of..
Hennessy Very Special is the youngest one in the Hennessy collection. A V.S. blend based 40 diffe..